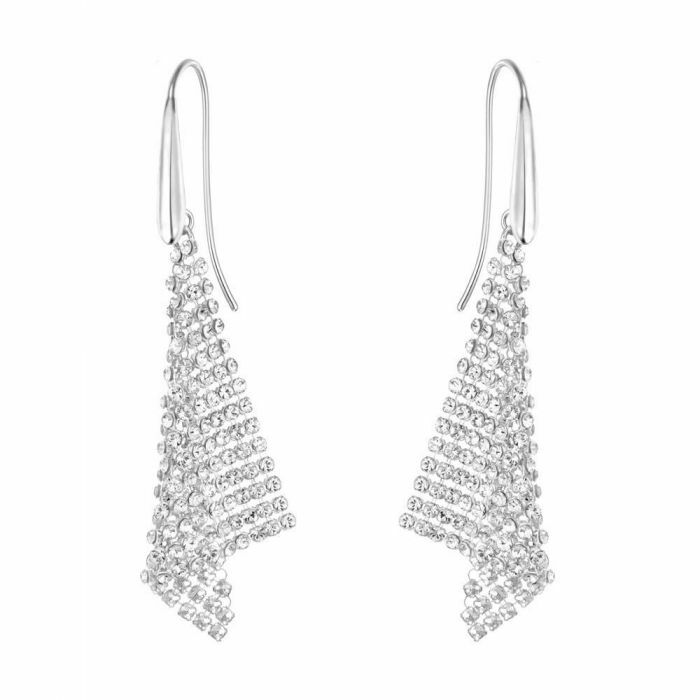 Wrap yourself in a shimmery silver glow with these ruthenium-plated clear crystal mesh earrings from Swarovski. Earrings are 2 1/8inch in length. Metal: Ruthenium PlatedRuthenium Plated: A white-silver metal that is park of the platinum group of the periodic table. Ruthenium Plated - A white-silver metal that is park of the platinum group of the periodic table.